Five Great Plans. No Extra Charges. No Extra Fees. 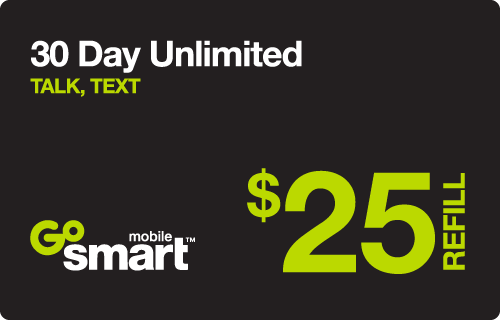 GoSmart Mobile® makes it easy to stay connected with no contract wireless plans that give you more. 8 PinZoo Points What's this? Unlimited plans while on GoSmart Mobiles nationwide network. 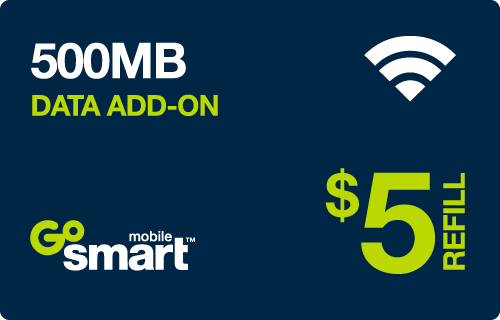 GoSmart customers data is prioritized below data of T-Mobile-branded customers at times and locations where competing network demands occur, resulting in relatively slower speeds. 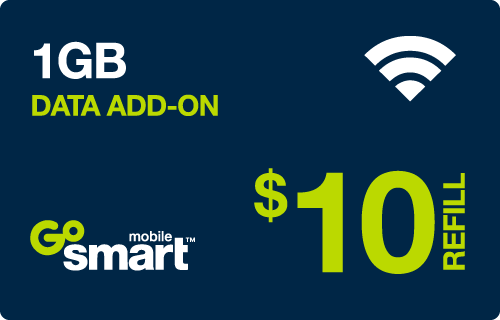 $10 GoSmart Mobile International Calling Refill. No Data. No days. 3 PinZoo Points What's this? The GoSmart Mobile® logo and the GoSmart Mobile® product images are registered trademarks of GoSmart Mobile®. PINZOO is in no way affiliated with GoSmart Mobile® or any other entity for which a logo or name may be present. PINZOO refers to these logos and or names solely for the purpose of demonstrating the products and or services that it resells. Downloads and streaming from external sites through Facebook require a data plan; data rates may apply. Limited time offers; subject to change. Taxes additional. Domestic use only. 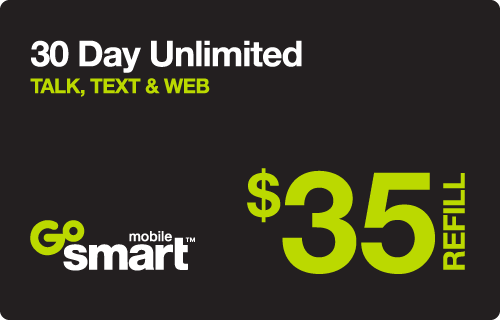 Unlimited talk & text features for direct communications between 2 people. Monthly Plans: Services available for 30 days; if sufficient balance, plans automatically renew. If balance is insufficient to renew, account will be suspended and, after 30 days, if you have a balance, plan service will resume at $3/day. Your phone number & service may be canceled when your balance is gone. Day is 12:00 a.m. to 11:59 p.m., Pacific Time. Plan Changes or Renewals: When you switch or renew plans, your new 30 days of service begins immediately & features associated with your prior 30-day period or plan will no longer be available. General Terms: Domestic roaming not available. Full speeds available up to monthly web allotment including tethering; then slowed to 2G speeds for rest of account cycle. All data sent by or to you through the network, whether received, counts as usage. We are not liable for failures, delays or errors in alerts or notifications. Partial minutes/megabytes rounded up. International Texting & Calling: Separate charges apply for international use. Rates and included countries vary and are subject to change. 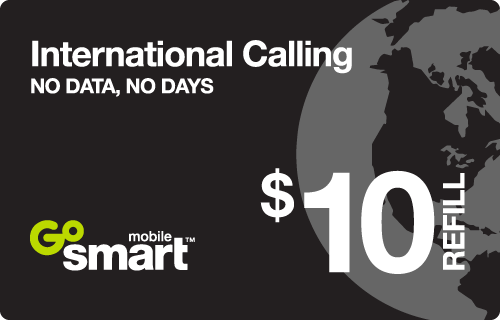 After International Calling Service $50 monthly allowance (if applicable) is exhausted, different rates may apply. See support.gosmartmobile.com for lists of countries and applicable rates. Bring Your Own Device: Check your warranty and contract with your carrier to see what conditions apply to unlocking your device. Device and screen images simulated. Auto Pay Discount: Qualifying $35 plan req’d. $5.00/mo. discount applied to GoSmart Mobile account approximately one (1) day before each account cycle renewal date; discount applied on first service renewal after enrollment. Must be enrolled in Auto Pay and account must be in good standing when discount applied; no discount if Auto Pay is cancelled during the account cycle or if manual payment (in-store or online) is made. Discount is not redeemable for cash; not transferable or refundable. Mobile Hotspot / Tethering: Qualifying service required. Plan data allotment applies. Roaming and on-network data allotments differ; see your selected service for details. Coverage not available in some areas. Network Management: GoSmart customers data is prioritized below data of T-Mobile-branded customers at times and locations where competing network demands occur, resulting in relatively slower speeds. 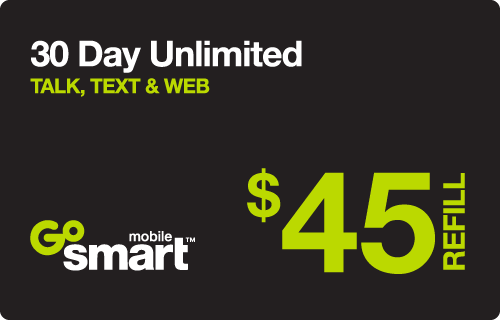 See gosmartmobile.com/OpenInternet for details. Service may be slowed, terminated, or restricted for misuse, abnormal use, interference with our network or ability to provide quality service to other users, or significant roaming. By using service, you accept GoSmart Mobiles Terms and Conditions (including arbitration provision), located at www.gosmartmobile.com. LTE is a trademark of ETSI. 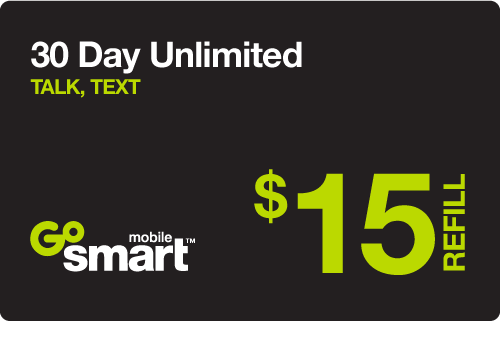 GoSmart and GoSmart Mobile are registered trademarks of T-Mobile USA, Inc.